I was looking for a cute and creative way to show case fresh flowers for dinner parties and decor around the house. I didn’t like anything I was seeing at the stores so I started browsing the web. 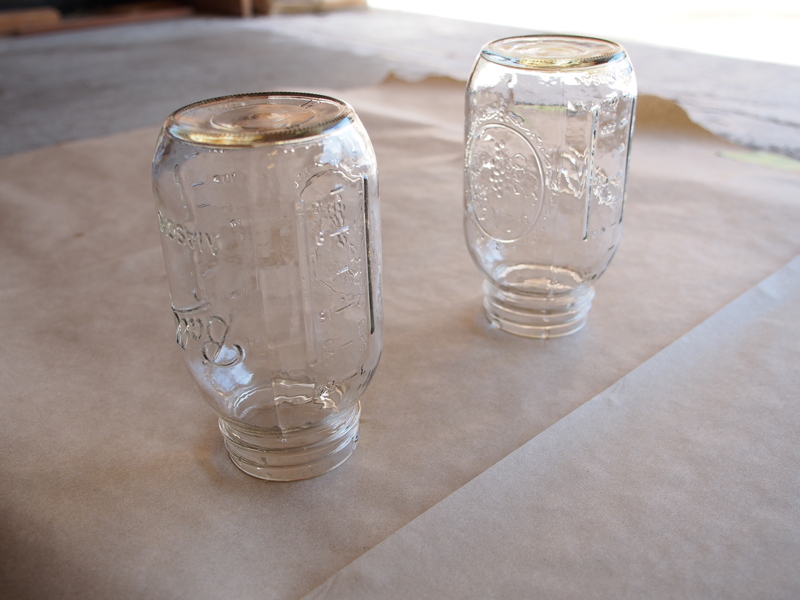 I ran across some great ideas, when the idea of painted Mason Jars caught my eye. 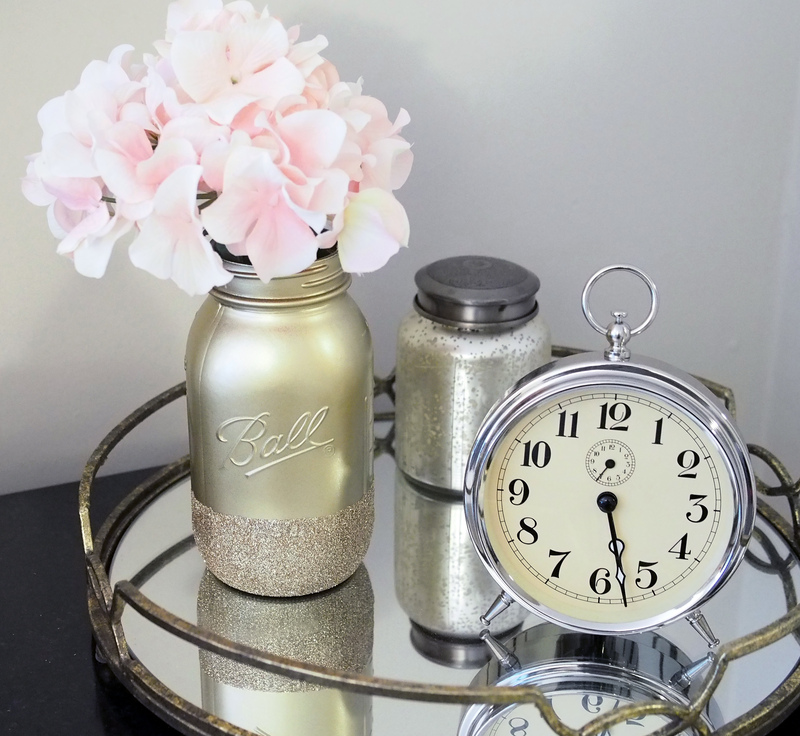 These gold painted jars with a slight touch of glitter were just perfect! I decided to go with the gold, as the color goes really well with any color flower. The gold also adds a bit of vintage elegance to any setting. These jars make the perfect wedding center pieces (wish I had thought of these earlier for my wedding) or a nice way to spruce up your nightstand. Here are steps on how to create them yourself. They are also available for sale on my etsy store – simplyshiao. 1. Make sure you thoroughly clean your Jar and lay them upside down with the cap off. 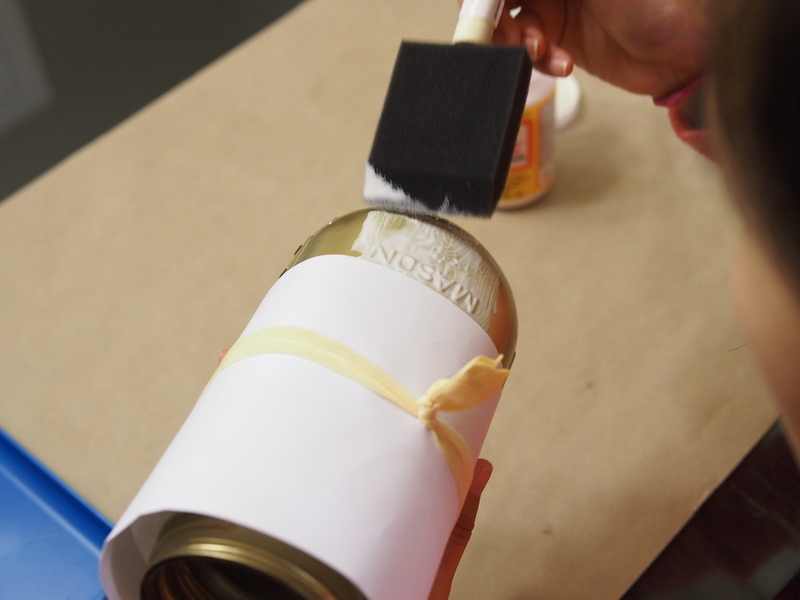 Spray paint your jar, applying at-least 2-3 coats of color. 2. Apply masking tape (I used a piece of paper and a hair tie to secure the paper in place) to where you want your glitter to start. Apply your glue and sprinkle your glitter on. 3. Spray a few coats of clear coat to ensure that the paint does not chip off and the glitter stays in place. Enjoy your new decor! These also look great with out the glitter as well, play around and let me know which one you like best. Loved how the vase turned out!